Box Braids Guide: How Many Packs Of Hair For Box Braids Do You Need? The Ultimate Box Braids Guide and How Many Packs of Hair for Box Braids Do You Need? 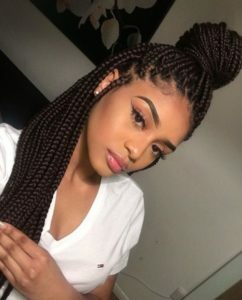 Box braids will probably never go out of style, no matter how many newer protective styles become popular; they are classic, beautiful, and practical. 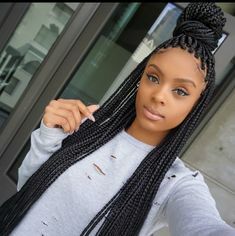 Although box braids can be done using just the wearer’s natural hair, more often than not, braiding hair added for length and to extend the longevity of the style. 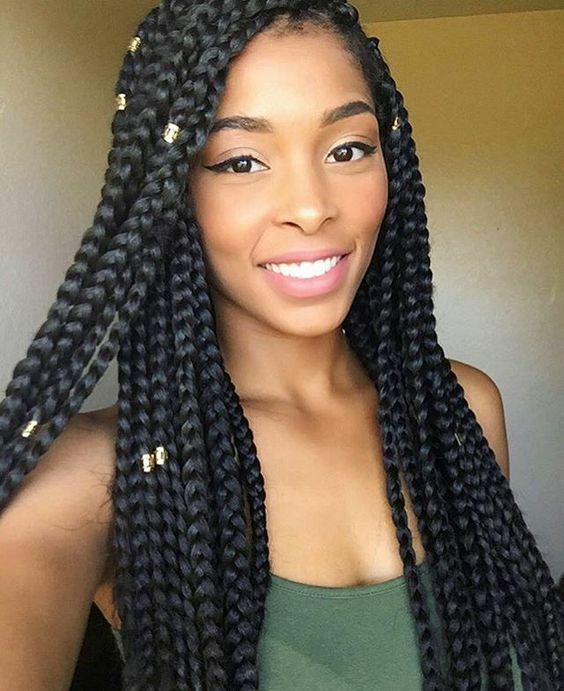 There are a variety of ways to style box braids and it is easy to wash your hair while wearing them, which is a huge plus if you like to make your protective styles last. So if you’re asking yourself how to install box braids and how many packs of hair for box braids do you need. 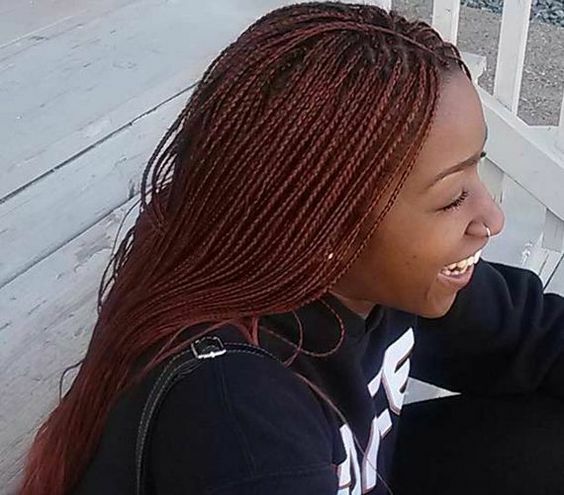 here’s what you should know before you get box braids. Box braids get their name from the box-shaped parts that are used to divide the hair into sections during the braiding process. 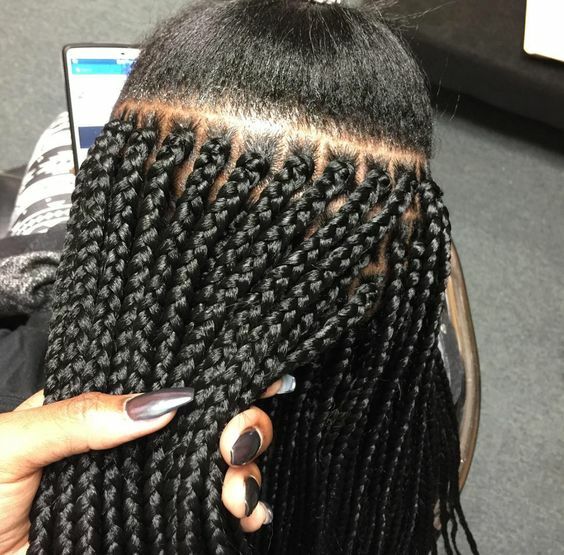 Perfecting the parting process is essential to creating neat, uniform box braids. Some people prefer triangle-shaped parts for their box braids, but this is totally a matter of personal preference. Some find that triangular parts are easier to make. As far as installation, the smaller the braids are, the longer they will take to install. Keep this in mind if you plan to install them yourself. You’ll want to set aside ample time to complete the process. Giving yourself a full day is a good idea because it will allow you to take multiple breaks when your arms get tired. 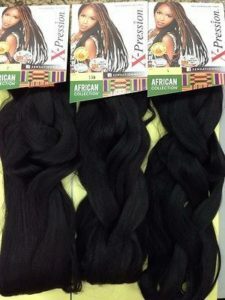 2Braid Size For Box Braids – How many packs of hair for big box braids, medium and small. 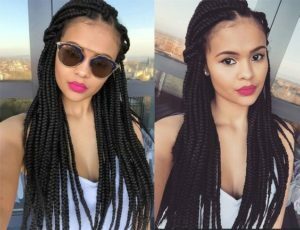 Box braids come in many sizes and generally fall into one of three categories: small, medium, and chunky. Braids that are about the diameter of a pen are generally considered medium-sized. Braids smaller than a pen fall into the micro category and braids that are larger fall into the chunky category. Larger sections of hair are better able to accommodate the strain of box braids and the weight of added hair; this is the greatest benefit of chunky braids. Medium sized braids can withstand the weight of added hair pretty well too. They’re also easy to wash and style. 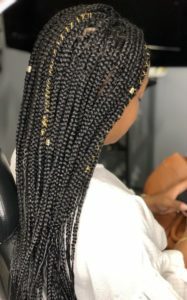 Micro box braids are very popular and have a great aesthetic look, but they generally put the most tension on your hair because the sections of hair are so small: an important factor to consider. 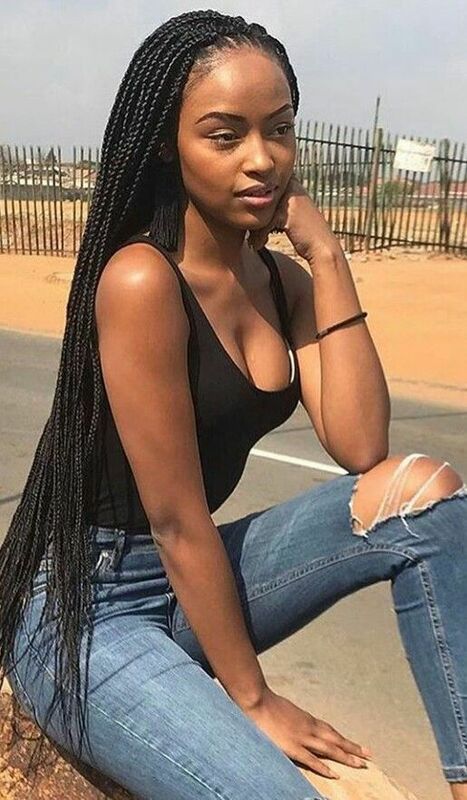 Box braids look great at just about any length. Long box braids are popular for their look and styling versatility. Short box braids are just as cute; bob length braids are especially popular. Medium length braids are great if you want something in between; they can also be styled in a variety of ways. Just keep in mind that the longer the braids are, the heavier they will be since they require you to use more braiding hair. Long braids will also take longer to install. Synthetic braiding hair is usually the best choice for box braids. Kanekalon hair is a popular choice because it’s relatively lightweight and inexpensive. X-Pressions is a brand of Kanekalon hair that is smoother in texture and a little more expensive. However, X-Pressions brand hair is longer and fuller, so you won’t need to buy as many packs. While it’s possible to use human hair for box braids, it’s not generally recommended if you plan to have them in for an extended period of time, which is the case for most people. You aren’t able to seal the ends with a lighter or by dipping them in hot water the way you can with synthetic hair, and the braids tend to frizz and slip much easier than braids made with synthetic hair. 5How Many Packs Of Hair For Braids Do You Need? It can be tricky to determine how many packs of hair you’ll need for box braids. 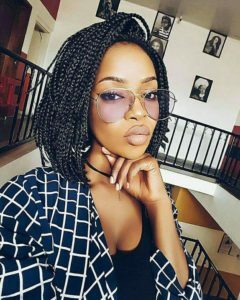 Ultimately, it will depend on the size and length of the braids you want as well as the type and brand of synthetic hair you end up using. On average, you may need as many as 8-10 packs of Kanekalon hair. If you’re using the X-Pressions brand hair, you’ll probably need about 4-6 bags; as previously mentioned, they come in packs that are longer and fuller than your average bag of Kanekalon hair. If you are getting short braids, you probably won’t need as much, but as a general rule of thumb, it’s always best to get more than you think you need, just to be on the safe side. You don’t want to run out of hair during the installation process. You can always save any unused hair for next time; you may even be able to return any unopened packages, depending on your vendor’s return policy. Before you install box braids, it’s important to shampoo and condition your hair to ensure that it is clean and moisturized. It is fairly easy to wash your hair while wearing box braids, but you still want to start with a clean slate. This is also a good time to trim your ends if you haven’t done so recently. Damaged ends can cause excessive tangling and breakage during the takedown process. Some people find it easier to install box braids on hair that’s been blow dried straight. If you choose to blow dry your hair, don’t forget to use a heat protectant. It’s always a good idea to split the braiding hair into sections before you start the installation process. Make each section the same size to ensure each braid will be the same size. You don’t want to have to have to stop in between braids to divide the hair, so this step is important. Some ladies like to soak the braiding hair in apple cider vinegar diluted with water before they use it. This process helps get rid of the chemical residue on the hair that often causes itchiness. If you do this, make sure the hair is completely dry before dividing it into sections. One of the best things about box braids is that they’re pretty low-maintenance. But it’s still important to properly maintain your braids and take care of your natural hair in the process. So while you may be tempted to wait until you take your braids down to wash your hair, it’s actually a better idea to continue to wash your hair as needed while you’re wearing braids (more on that in a minute). An itchy scalp is a common occurrence while wearing box braids, and while keeping your scalp clean and free from build-up is the best way to keep itching at bay, there are things you can do in between washing to help keep your scalp moisturized. 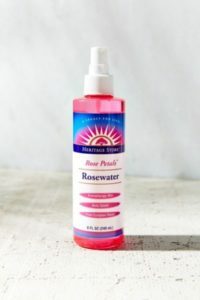 Rosewater is great for your hair and skin, which makes it an ideal product to use to maintain box braids. Spritz your scalp and braids with rosewater whenever you need a boost of moisture. You can also massage a small amount of jojoba oil onto your scalp afterward to help retain moisture. Mix the jojoba oil with a couple drops of peppermint, rosemary, or tea tree oil to further prevent itchiness and flaking. If you’re worried about your braids getting frizzy after shampooing, the key is to focus on your scalp while washing your box braids. Choose a sulfate-free, moisturizing shampoo, dilute it with water, and use a spray bottle or a bottle with an applicator tip in order to apply the shampoo to your scalp. As an alternative, you can use apple cider vinegar diluted with water. Massage your scalp to loosen up any build-up, then rinse gently; you can do this in or out of the shower, but you don’t have to worry about saturating your hair with water during this step. Once you’re done, rinse gently, allowing the water and gravity to move the shampoo down the length of your braids. Follow up by spraying your braids with a leave-in conditioner; use a microfiber towel to gently dry your braids as much as possible, then allow them to air dry or sit under a bonnet dryer to speed up the process. Aside from keeping your hair and scalp clean and moisturized, it’s also essential to protect your style overnight while you sleep. To preserve your box braids overnight, cover them with a satin bonnet or scarf. A satin pillowcase is another great option, especially if you have long box braids that are hard to completely cover with a bonnet or scarf. You can also pile your braids up into a pineapple or loose high bun before going to bed; this method is especially good if you’re a wild sleeper or if you have really long braids. As with any other style, handle your box braids gently and avoid styles that are too tight or put too much tension on your edges. There’s a lot to consider before getting box braids. Always do your research and prep work before trying any style you’ve never worn before, whether you’re doing it yourself or getting it done by a professional. Make your hair’s health your top priority when choosing any style. When installed and maintained correctly, box braids can be a great protective styling choice.